For details about James Curran's Lowy Institute Paper, 'Fighting with America', click here. In one week, Donald Trump will stand before a vast concourse of the American people gathered in front of Washington’s Capitol building and take the oath of office to become the 45th president of the United States. America, and indeed much of the world, will be taking a plunge into the unknown. Reality, though, has a habit of biting. As president, Trump will find that the public’s patience for endless talk of past 'disasters', ­finger-pointing and ridicule will be limited. The showman now has to govern; the real estate tycoon now has to navigate a political system that will not always bow to brand Trump, and that indeed may force him to swallow both words and outcomes unfamiliar to his view of how the world works: messy compromise and, yes, sometimes political loss. The clash between these two cultures, ­between the business ­empire from which Trump has emerged and the congress whose job it is to check presidential power, will define his time in office. All the triumphant boasts about the nature of his victory, and all the gold and glitter of Trump Tower, the gleaming hub of his transition, now have to give way to the hard dull graft of getting things done. Trump talks of the past 12 months in American politics as a 'very painful period' but his challenge is to marshal the policy tools — and the skills — to assuage the pain and heal the nation. Many of the doubts, anxieties and uncertainties about how Trump will use presidential power have been intensified, if not magnified, since his win in November. His news conference in New York on Thursday — his first formal such affair in nearly six months — gave expression to all the characteristics and qualities that he drew on during the campaign: exhibitionism, sensitivity to criticism and a visceral contempt for those challenging his prescriptions. Trump is unlikely to change any of this once commander in chief. His character is set. Only time will tell how those qualities assist in his management of a domestic or international crisis. Since his election the public has been given only occasional glimpses by Trump of an effort to adopt a more presidential persona — witness the carefully choreographed meeting in the Oval ­Office with President Barack Obama and his decision not to pursue the prosecution of Hillary Clinton. Following a conversation with James Mattis — subsequently his pick to be secretary of defence — Trump revealed to journalists at The New York Times that he was rethinking his views on the use of torture in the interrogation of terror suspects. He also committed to keeping an open mind about climate change, seeking a 'fair immigration bill' and bringing peace to the Middle East. Many of his predecessors said the same. But elsewhere the reckless and impulsive Trump was very much on display. He has poured scorn on American intelligence officials, dismissed claims of nepotism in appointing his son-in-law to a key White House post, fumbled persistent questioning about how he will keep his presidency and his company separate, and called into question the status quo on US-China policy by accepting a call from the president of Taiwan. He regularly takes to Twitter to ­excoriate those who dare to question his antics and approaches, and in recent days was forced to counter wild but unsubstantiated ­allegations over scandalous behaviour in a Moscow hotel with Russian prostitutes. Trump’s probable cabinet is an intriguing mix, reflecting the various dimensions of the president-elect’s character and the swirling currents of his campaign. The parade of candidates for some positions was at times akin to those that filed across the screen of his reality television show. Those from the worlds of business and commerce, therefore, will sit alongside military generals and others with a harder, more ideological view of American power. Traditional Republican deal-­makers such as Steven Mnuchin, the nominee for secretary of the Treasury, will join generals such as Mattis and John Kelly, chosen to lead Homeland Security. ­National security adviser nominee Michael Flynn wants to cultivate Russia as an ally in the fight against Islamic militants and is known for his pungent views on the use of military force, while the nominee for the Environmental Protection Agency, Scott Pruitt, is a climate change sceptic. Trump’s pick for secretary of state, former ExxonMobil chief Rex Tillerson, is having the blowtorch applied by Russia hawks in congress over his ties to Vladimir Putin — although the potential for differences with Trump over Russia was clearly ­apparent as Tillerson adopted a more orthodox stance. For Australia it is the implications of a Trump presidency for Asia and especially China that count most. Despite Trump’s lurid prescriptions for extracting greater ­financial contributions from South Korea and Japan for the cost of housing and feeding US troops stationed in those countries — he has been consistent on this issue of alliance 'free-­riding' for more than 30 years — his advisers have given reassurances about his desire to pursue a Reaganesque 'peace through strength' policy in the region. This is hardly a prescription for the US stepping back from its role in Asia. Those who worry about the peeling back of the George W. Bush and Obama rebalance to the region, notwithstanding the probable death of the Trans-Pacific Partnership, ignore the fact its anchors are firmly in place. China is challenging US primacy in Asia like never before, but too often the resilience of American staying power is underestimated. The challenge for a Trump administration is to continue America’s role as a balancer in the region without needlessly provoking China. That goal, however, may ­already be going up in flames. Without doubt, the clearest indication of how the new administration might approach China’s rise, and especially its behaviour in the South China Sea, came on Thursday with Tillerson’s unexpectedly fiery rhetoric during his confirmation hearing. Likening China’s construction of artificial islands in the contested waters to 'Russia’s taking of Crimea', he went further by stating that 'we’re going to have to send China a clear signal that, first, the island building stops and, second, your access to those ­islands is also not going to be ­allowed'. Tillerson did not make clear just how the US would stop China from being able to access the ­islands. Short of a naval blockade, it appears unlikely that the US can change China’s unilateral facts on the water. But the mere enunciation of this kind of intent in itself represents a dramatic American escalation and, if ever implemented, would likely elicit a sharp, potentially military riposte from Beijing. To date, it is true that neither the US nor any of its ­regional allies has been able to ­impose a serious cost on Chinese activity in the South China Sea. But this US stance would force its allies, including Australia, to make a choice that many do not wish to make. To date, Australia has resisted public and private American entreaties to follow US naval patrols through the contested 12-nautical-mile zone around the Chinese-claimed maritime territories. Australia and other US allies want the US to lead in Asia, but it is not necessarily the case that Australia will or can follow America’s lead in every instance. It is for this reason the Trump presidency may put that cherished mantra of Australian foreign policy across the past two decades — that it can have an 'ally in Washington' and a 'friend in Beijing' — under strain. During the election campaign, it seemed that trade concerns would have the upper hand in the crafting of China policy under Trump — that slapping high tariffs on Chinese imports into the US would be the principal tool for punishing Beijing. But in recent months the more hawkish elements in the Trump camp seemed to be gaining momentum. Even more reason, then, for Canberra to adopt a prudent, cautious and careful watch on how US China policy evolves in this ­administration. Trump’s inaugural address will probably restate his campaign pledge to make 'America great again'. But this is likely to be a very different kind of speech from those of past presidents. The Trumpian pitch about national greatness was not a summons to another golden age of American globalism but a reflection of the growing pressures to turn inward and focus on the home front. There can be little doubt that, as the Republican nominee, Trump brought a clear, if at times brutal, energy to the feeling among many that change was needed in Washington. His political success came because of his ability to harness some of the blistering, angry sentiments coursing through the American political debate in ­recent years: frustration with ­decades of wage inequality, grievance at the pace of globalising change, contempt for a dysfunctional congress, outright hostility towards minorities — especially Muslims and migrants — and ­fatigue with American policy adventurism abroad. Trump gained power by magnifying the sense of national malaise. And he did so with a potent mix of populism, nativism, nationalism and conservatism. But Trump’s powerful and ultimately successful appeal to what he calls the 'forgotten people' of working America and his commitment to take the country in a 'different direction' now have to assume a more concrete form. 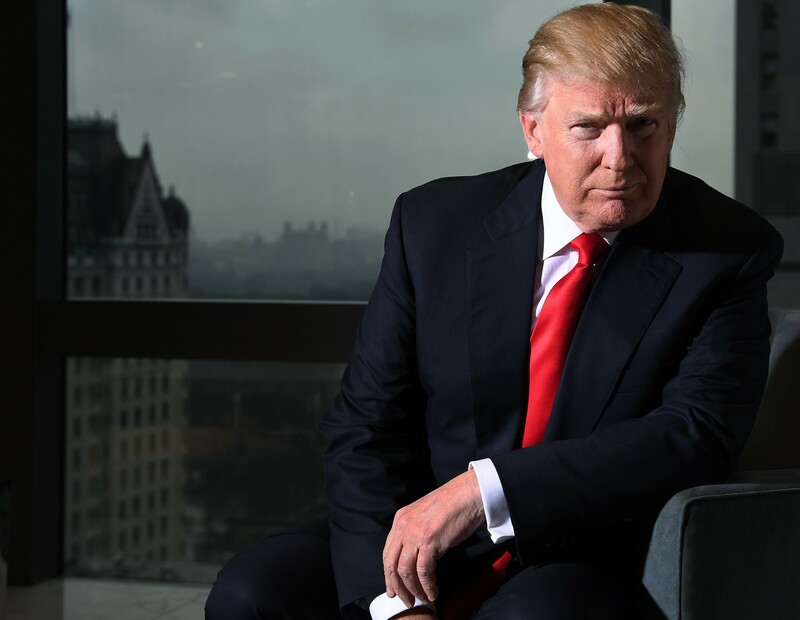 The expectations he has ­unleashed for American economic renewal and revival are enormous. While they are of a different order to those Obama liberated in 2008 — which were primarily about the country turning over a painful page in its history of race relations — they are no less dramatic. Trump wants America to be a 'competitive ­nation again' and he wants to see the country’s old industrial heartland bloom once more. A child of globalisation, he seems at times to want to pull up its drawbridge. Some companies, clearly, are ­listening. Trump has ­already claimed the credit for Ford’s decision to cancel its new car plant in north-central Mexico and build it in Michigan instead. Federal Reserve officials, meanwhile, expect faster economic growth in the US over the next few years but have stopped short of predicting the kind of boom that Trump says will result from his policies. During his run for office Trump did not use the language of Pax Americana, or give expression to lofty ideas of the US as the ­'indispensable nation' in world ­affairs. Indeed he showed a clear disdain for the language of transformational diplomacy, of the US going abroad to remake countries in their own image. Trump’s lack of curiosity about the outside world, his seeming preparedness to discard longstanding alliances and undermine the postwar liberal international, taken together with his unpredictability and irascibility, make the likely contours of foreign policy during his presidency difficult to foresee. In an interview with reporters late last year, Trump gave ­expression to the despair he felt for his country. 'We don’t win,' he said. 'We can’t beat anybody, we don’t win any more. At anything. We don’t win on the border, we don’t win with trade, we certainly don’t win with the military.' It was his lament for a lost America, an America in decline as other ­nations rode roughshod over it. Trump, however, may well find the practice of politics and of international diplomacy does not easily lend itself to the shrill cry for victory. It will take more than the ­reinstallation of Winston Chur­chill’s bust in the Oval Office — which Trump wants — to master the art of political persuasion and display the virtues of perseverance. Trump’s presidency, in ­essence, will hinge on how quickly he learns that lesson, how he ­responds to the setbacks and disappointments that come with the presidency, and how he handles the crises that will fall his way and deals with the limitations of power he will experience once in office. He has already labelled the job of president one that appears to be 'overwhelming'. That, perhaps, is the most revealing comment of all.